While dozens of new cars are unveiled every year, the arrival of a new Lamborghini is something special. The Sant’Agata Bolognese-based automaker likes to take its time with new models. Its best-selling Gallardo was on the market for 10 years, an eternity in the car world. So the new 2015 Huracán LP610-4 is poised to make quite a splash. It broke cover back in December, and is set to make its official debut at the 2014 Geneva Motor Show in a couple of weeks. In the meantime, Lamborghini decided to release all of the important details of this new supercar for enthusiasts to drool over. Enjoy. In its first forty years of trading Lamborghini produced a total of 10,000 cars, in the last 11 years it’s sold double that. That’s largely down to its most successful model ever, the Gallardo, which shifted over 14,000 units in nine years, and there are even higher hopes for the its successor, the all-new Lamborghini Huracan LP 610-4. We already know the four-wheel drive 602bhp Huracan’s performance will be sensational. The 0-62mph sprint takes 3.2 seconds (0.2 seconds faster than the Ferrari 458 Italia, but 0.2 seconds slower than the new McLaren 650S), 0-125mph takes 9.9 seconds and top speed is 202mph. We also know the price is expected to be around £188,000 – roughly £30,000 more than the Gallardo LP560-4, £10,000 more than the Ferrari 458 and £7,000 less than the McLaren 650S Coupe. But what are the innovations behind these numbers? We’ve broken the Huracan’s most significant technologies down into easily digestible sections. 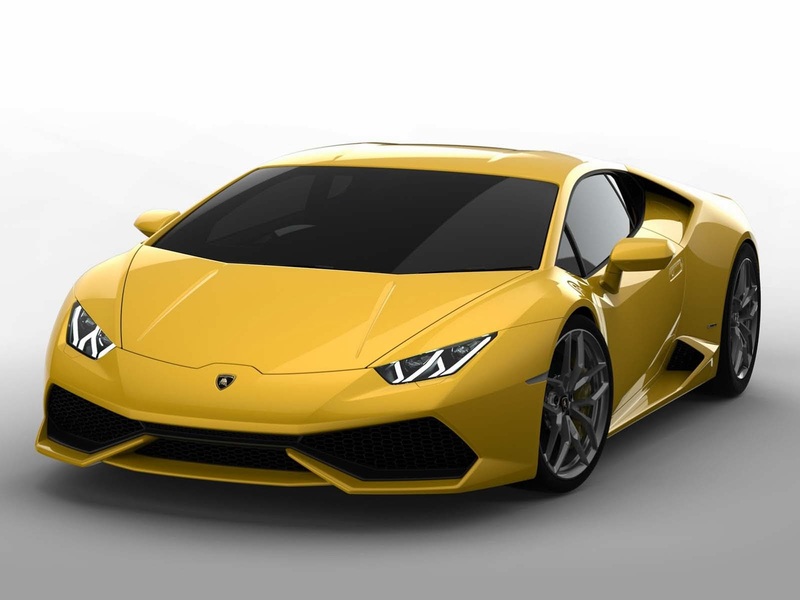 Lamborghini has not announced U.S. pricing for the Huracán, but it the European base price is reportedly 201,000 euros, or around $275,000. Deliveries are set to begin later this year, but Lamborghini has already received over 700 ordersfor the car. If you want one, start planning that bank robbery now.